Create Powerful Games. Amazingly Fast. Powerful, Elegant and More Options than ever before. 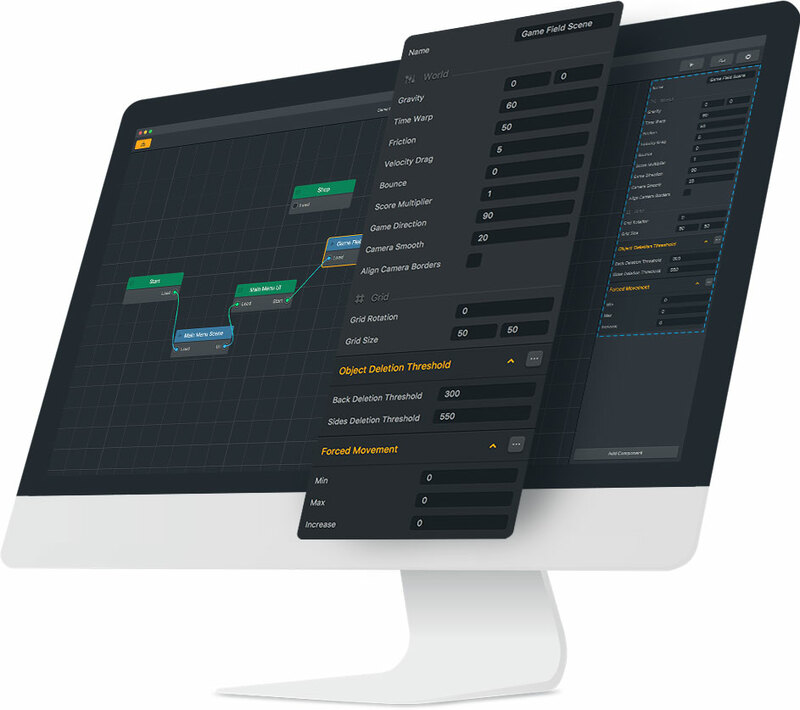 With Buildbox, the goal was simple: to design the ultimate video game maker that allows anyone to make a video game. There is no coding or programming required. All the tools you need to complete your game is inside the software. 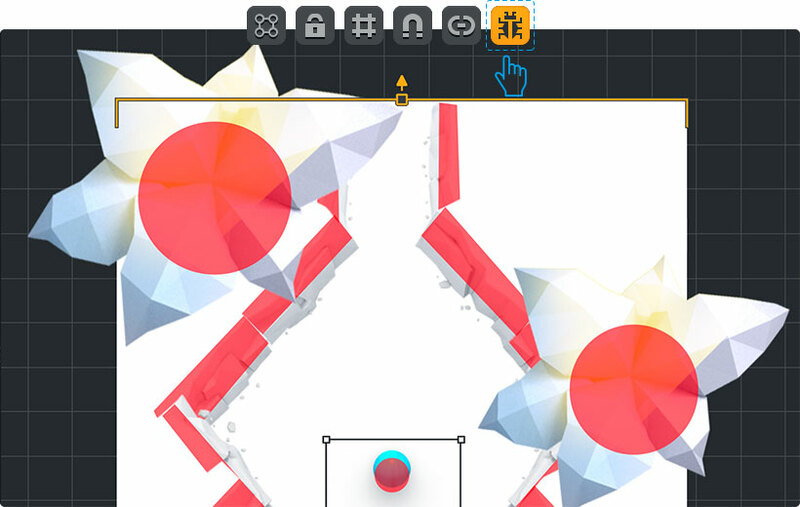 Creating games in our drag & drop software is as easy as making a PowerPoint presentation. 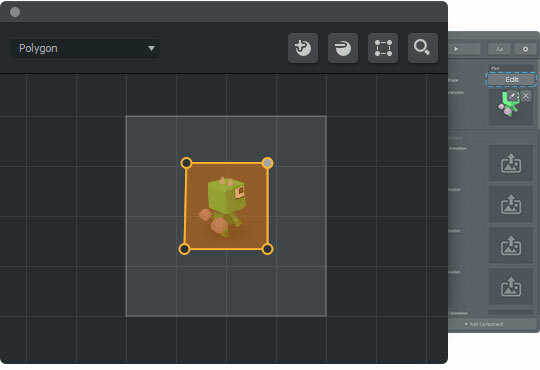 It only takes a second to add a new character, enemy, object, platform, decoration, power-up, effect or background into your game, simply drag and drop the image into the level editor. You can also easily edit their properties if needed and test out the game throughout the entire process. What Games Has It Made? 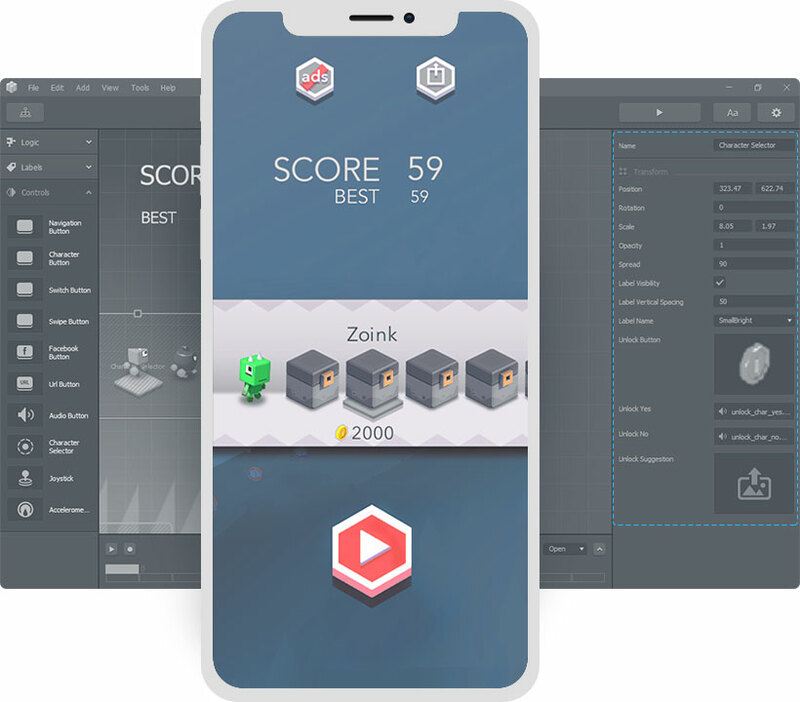 Since it’s public release in January 2015, Buildbox has created more than 150 hit games that have been featured by Apple, broken the top charts of the app store and picked up by major publishers. It’s an impressive feat, and more than all the other game builders combined. Notable games made with Buildbox are Color Switch, Damn Daniel, Slip Away, Ball Jump, The Line Zen, Phases and Endless Sky. We’ve seen Buildbox games published by every major publisher in the app store. By design, Buildbox is intuitive. Anyone can use it. Unlike any other game maker, you don’t need to be a tech genius to use it (though we have many of those as customers, too). Simply put, Buildbox is popular with anyone who loves games. We have many great artists, makers, indie gamers, entrepreneurs and thinkers using our software. The two things they have in common are: They love video games and creating new things. To keep things simple – we added the creator tool. The creator allows you to pick and choose the variables, create a skeleton of your game, and it instantly inserts placeholders to help you get started. This tool automatically sets up everything for you. You’ll have access to a visual map of your game, from the start screen menu and gameplay levels to the game over screen. From within the creator you’re able to double click on a particular screen to open it for editing or reroute the order of your game however you want. Different types of animations and effects can be easily added to your character with Buildbox. Edit the hit zone or collision shape of your character. Make them shoot, move or jump in a special way. Add different sounds for your character’s action like jumping, shooting, or a ground collision sound for when the character hits the ground. Gameplay effects can be attached to a character also. Choose Shadow to add a light effect on your character like in our game Phases or add the Auto Tilt option to make the camera shake when a character is defeated. Buildbox 2.0 features multiple character support. This option allows you to add multiple characters into your game and control how players interact with them. Each character can have unique powers and abilities by setting the desired options in the character gameplay settings. Choose how to unlock the character, if it’s going to be available for free or with in-game currency and different movement effects. Create multiple characters that flap like a bird or move across the screen similar to a helicopter. There are no limitations on what you can do. In the scene editor we have place holder graphics based on your set gameplay style. It’s kept extremely simple with nothing more than a character, a platform, a single enemy, and a particle effect for good measure. The place holders make it easy to quickly add or duplicate items and build out your scene however you wish. The outliner option enables you to view all of your game’s layers, hide them, lock into place, or group and rearrange. We also added an auto-depth sorting feature to automatically sort out any depth issues when you’re creating more complex games. Buildbox is all about expandability. 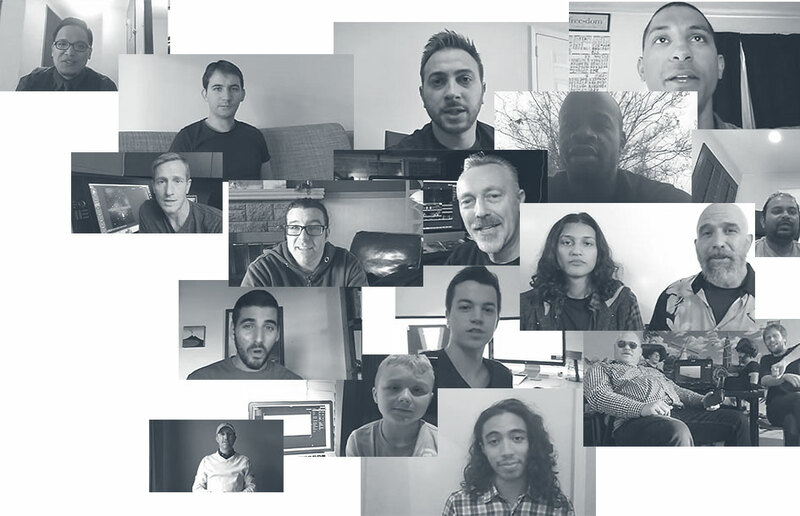 We set out to create a software that was not only easy but would enable anyone to make a wide variety of games, from simple and casual to complex. Each object has a wide variation of properties that you can change. Any object, regardless if it’s an enemy, platform or even decoration, can be set to move automatically. Simply drag and drop your PNG animation sequence into the object side menu bar. You can also choose a linear velocity and make the object move left, right, up and down, or angular velocity to make it move in a circular motion. Adjust the settings to make enemies move, platforms rotate or boxes fall from the sky. To take it a step further, you can determine when this object will “wake up” and start to move. Set an object to only start moving when a character collides into it or have it wait until the character reaches a certain distance. With Buildbox you can have hundreds of objects on screen following their own set paths while interacting with your character to make a game that’s uniquely yours. 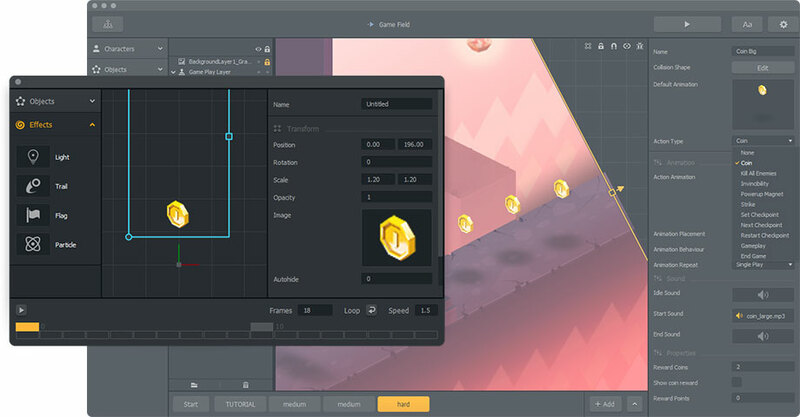 Buildbox includes all the developer tools you’ll need to not only make games, but make outstanding games. By clicking on the small bug icon on the Scene Editor, you’ll enter the debug mode and have full view of all of the collision shapes of your objects. This collision viewpoint enables you to see the skeleton of your game. Using this view you’ll be able to easily make sure your gameplay runs smooth and there are no unnecessary bumps or transitions your player might endure while playing. There’s also a live Game Preview mode that displays your final game in real-time. When you make a change you can instantly see what it will look like to an actual player. The debug mode is accessible through your game preview so you can easily trouble shoot an area where your character might get stuck. Create custom vehicles, death-defying obstacles, rotating platforms, sequenced enemy attacks and much more using connections. By clicking on the toggle switch, located in the scene editor you can enter connection mode. When you’re in connection mode you can easily connect objects together. These objects will now be linked together and can be moved as one or duplicated as a group. While groups is an essential feature of Buildbox, we wanted to take connections farther, and let you determine how they’ll actually move and interact in your game as well. So, we also added in motors and pivots. Adding a motor to any connection is easy. Click the connection line and choose what speed and torque the connection will have. You can also enable it so that particular object only turns when a button is pushed. Now you can easily connect wheels to characters, enemies and objects and have them collide and move with the real world physics, or simply create swinging axe that moves in circles. The possibilities are really limitless. Buildbox is used by the best game makers. Are you ready to join them? The node menu editor allows you to completely customize your game layout. Adjust the settings to choose all of the menu screens you’d like to include, click to add new screens or double click to go directly to the level editor to edit. The menu system is also color coded for easy reference. Green represents UI menu and blue indicates a gameplay screen. You can drag and drop menu screen connections to reroute their order as well. 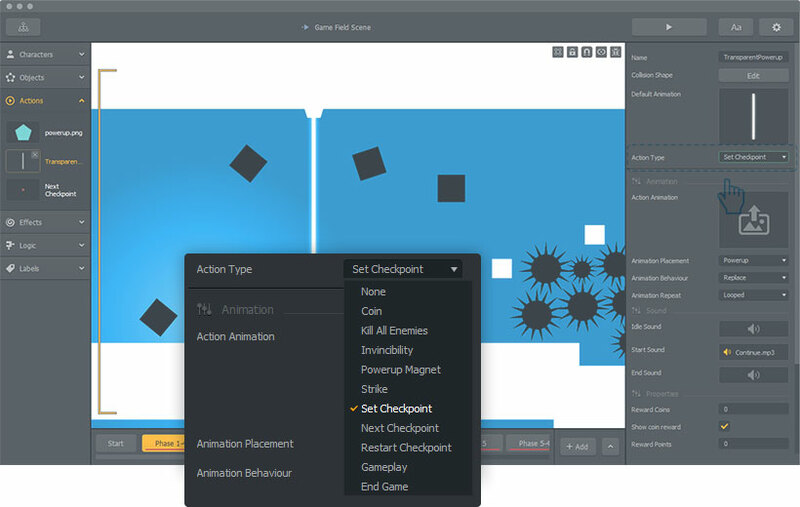 With Buildbox you’re in total control of the look and feel of your game. The options for each type of screen can be adjusted to integrate ads, add music or buttons to any menu screen. 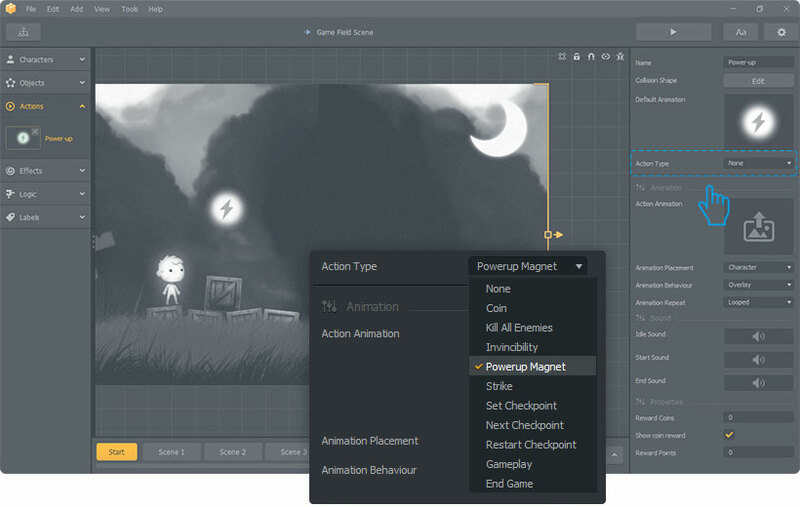 With Buildbox you can add interactive animations to make your game truly stand out. 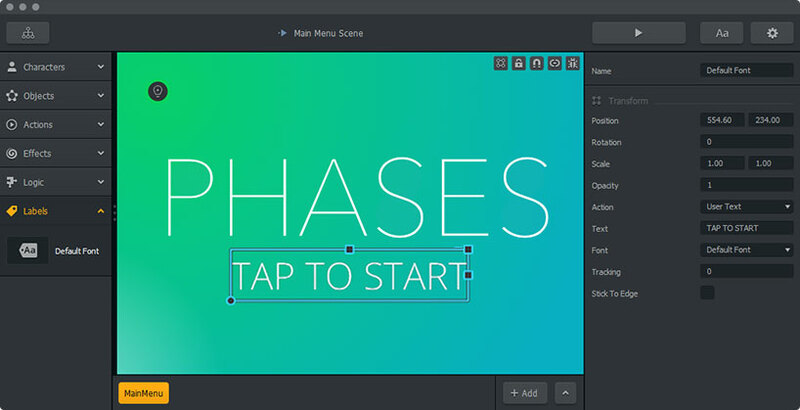 Animate your menus or create complete cut scenes with our new key frame animator. It only takes a quick click to open up the menu animation editor and begin recording a character hopping onto the screen and set it play every time the game is started. We make it really easy to customize each animation with a detailed graph of the movement that can be edited in free mode to make actions more precise or free flowing. Animate everything on the menu screen including the scale, rotation and opacity. Choose multiple ways to display the animations. Make them play one time and then stop, loop and more. Expand the functionality of your multiple worlds with our advanced control options. There are a variety of different settings that you can use to drastically change the gameplay in each individual world. Control the gravity within the world, bounce effect, velocity drag and the game’s speed. Add secret hidden warp zones in your game to take your character to a new world or integrate a special Easter egg that will display a certain cut scene. The world is yours in Buildbox! Our multiple worlds feature lets you create as many worlds as you want. Mix and match them as you see fit using the options in the menu editor. Make new UI connections by adding menu jump logic pieces into your game or create stage clear games that wildly open up gameplay possibilities. You can choose to make your game as simple or complicated as you wish. Coins are more than just a way to keep score, in Buildbox. Our features allow you to add and customize any object you want with a set action. Actions can completely change how a player interacts with an item. Simply drag and drop an item into the editor and set its action as a coin. You can easily have your character collect coins and then offer larger packages of coins for sale. We’ve also included advanced power-ups, continue and checkpoint system with in-app purchase options. Power-ups turn the average character into a bona-fide super hero. Excite and thrill your players with a variety of different power-ups to make your game not only challenging but also extremely fun. Besides the classics like invincibility and kill all enemies, we have some unique options like coin magnetization and strike. In Buildbox you can activate power-ups in multiple ways. Make them freely available inside your scene or designate an icon for the power-up and set it to activate when a character collides into it. You can also choose to activate the power-up with a button. This would work well for any strike power-up to be used as a melee attack or a kill all enemies power-up for a bomb in a space shooter. You can mix and match various power-ups and checkpoints to do some truly unique things with your gameplay. Checkpoints and power-ups are fully integrated, allowing you to easily create portals and teleport your character through different zones of the game. The full checkpoint system includes options for adding a set checkpoint, recall checkpoint and skip checkpoint. Easily create classic stage clear games like Pac Man with our events options. Use the Event Observer feature to automatically monitor your game for specific events. You can schedule a countdown or timer to be activated within your game. Make players race against the clock to complete the level in time or kill all enemies. It’s the little details that make all the difference. 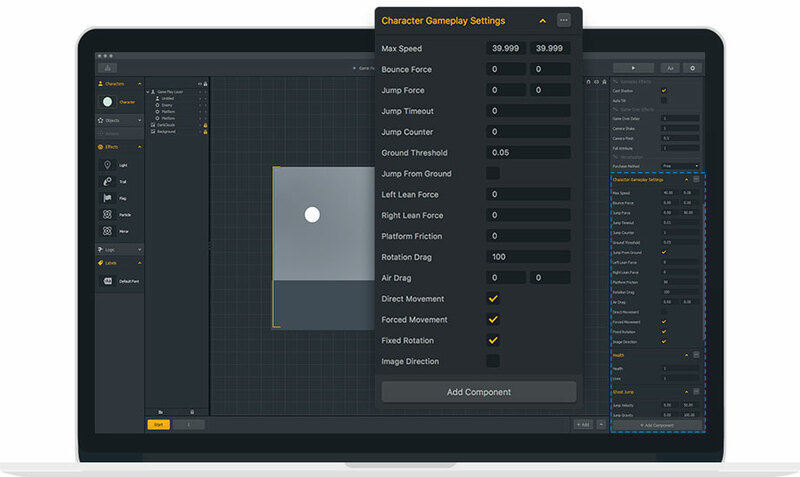 With Buildbox, you have everything you need to truly zero in on the details that count and make something unique with your game. One of the best ways to do that is with effects. We’ve included an amazing light effect that is seen in popular games like Thomas Was Alone and our very own Phases. This effect is extremely dramatic and with Buildbox can be used in some very unique ways. You can add 7 different lights that all interact with the characters and objects in real time, giving a strong visual effect to the scene. The built-in particle effect creator in Buildbox allows you to easily make eye-popping professional effects in your game. This feature is by far the most fun to use. Create a particle by adding smoke, fire, sparks or make your own design from scratch with any image software or a photo. Attach particle effects to characters or platforms. You can also add them in your game as highlights in the background that move around with the gravity of the world. There are dozens of editing features available in the particle editor. Set a blend additive for a magical spell effect to your particle or change the coloring with the color variation options and much more. Light isn’t the only effect that can make your game stand out. We also have integrated trails and flag effects that move dynamically with the game. You can attach these trails to the character or on any objects for some very interesting movement effects. To allow real enemy paths, we’ve added the mirror effect. With this effect you can mirror when returning on a set path so the character can face the opposite direction. The effect settings make it easy to add exciting battles or collisions into your game. 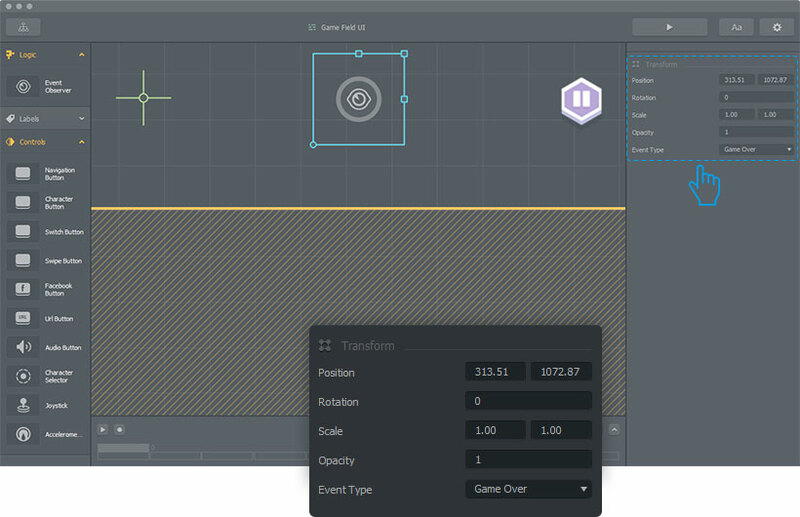 The transform feature allows you to change an object or character’s position, rotation, scale, velocity, and more. Transform any object or character to customize its appearance and function in your game. With teleport you can quickly add portals in your game. Simply drag and drop the logic teleport pieces into the scene editor and place them in the spots where you want your character or object’s portal to be. Gatekeeper is a unique logic piece. It can be placed whenever you want to control how many characters can pass through a specific point in the game. Add gatekeeper logic pieces to tunnels, obstacles, pipes or any passage you want to restrict entrance to. 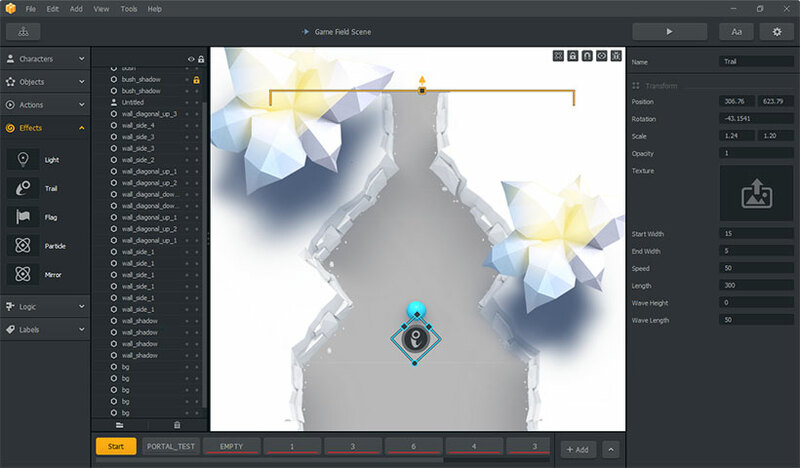 The path feature was used to create Nik’s hit game SKY. This logic piece when placed enables your to create an invisible path for your character or an object to follow. 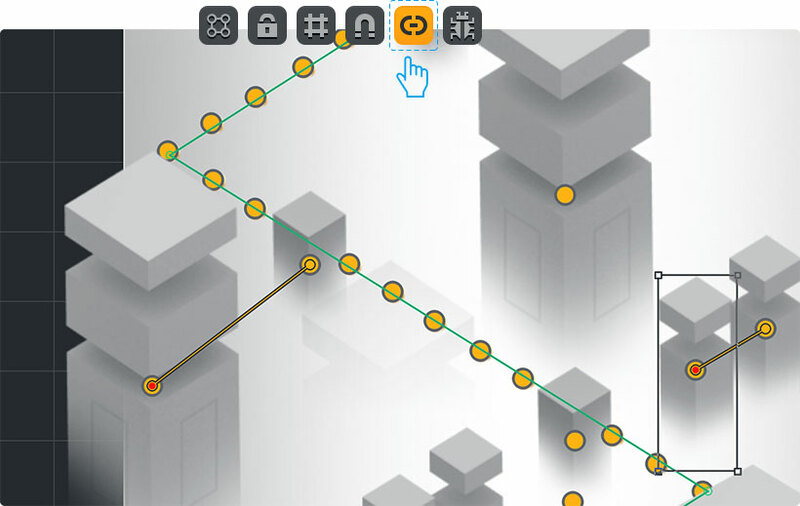 In Buildbox you and set paths in any direction you want. With the menu jump feature you can add bonus or secret levels in your game simply by placing a menu jump logic piece into the scene. Use it to end your game, take players to another world or to an animated cut scene. The event observer will automatically monitor your game for specific events and allow you to easily create classic stage clear games like Pac Man. Add ticking timers and countdowns into your game to challenge and engage players. Turn your passion for games into a real business. Like most freemium games you can have your character collect coins and then offer larger packages of coins for sale, but with our advanced freemium game creation settings you can mix and match monetization to generate even more revenue. Optionally charge for power-ups, characters and continue options. All power-ups can be purchased in bulk or singles with in-game currency or real world money. You can pick up power-ups in your game or assign them to a designated button. 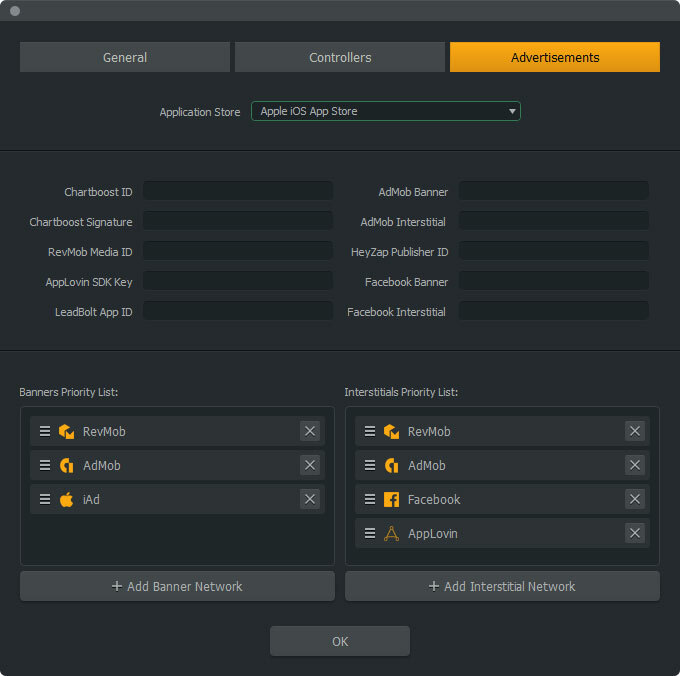 The in-depth checkpoint and continue system in Buildbox is also deeply integrated with in-app purchases. This allows you to easily setup a pay to continue, pay to skip, purchase more continues and other options. 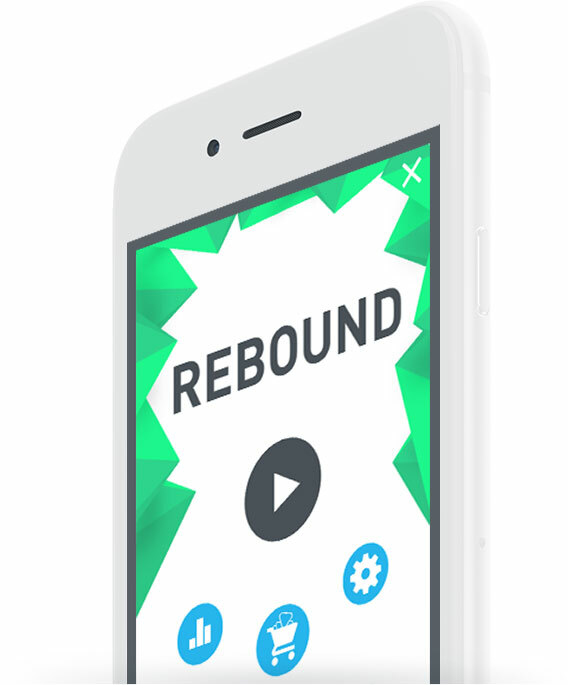 We have many ad types and options including watching videos for coins that you can add into your game. Placing your ads, banners and interstitials is simple. Just browse down the drop menu and easily choose what ads you want to show. You can pick the company and decide if you want to show regular banners, full screen interstitial ads, or both. With Buildbox’s ad management system you can also choose how often you show these ads for each placement. Show a full screen interstitial ad after a player has been defeated 5 times or have it appear on the game over screen every single time. Choose to show banner ads on the pause menu or only every other time they hit the pause button. There’s even an option to show an ad on the main menu for your new upcoming game. For ad support we’ve added every major ad company to help you succeed. These companies are generating the most revenue for its users on mobile and they all can be integrated easily into your game with our settings. 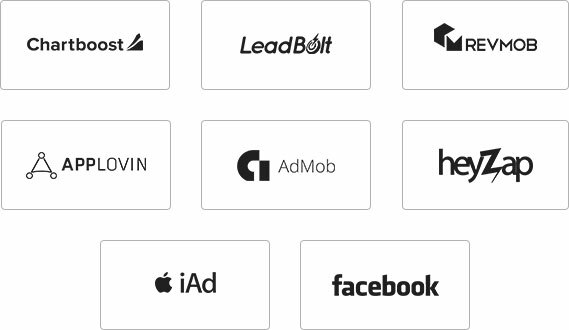 Serve ads from iAds, Admob, Applovin, Vungle, LeadBolt, Revmob, Mopub, Facebook, and Chartboost with the click of a button. Any new ad companies that are performing well, we’ll be adding them too in future updates. We offer true multi-platform support from both sides of the fence. With Buildbox you’re not just getting a port from one system to the other, it was coded from the ground up with both platforms in mind. Its native Mac and native PC. Both versions are exact copies that look and feel identical. Regardless if you use Mac or PC, you’ll feel right at home. Exporting your game is as easy as clicking a button. You don’t even have to create different versions for different screen sizes. 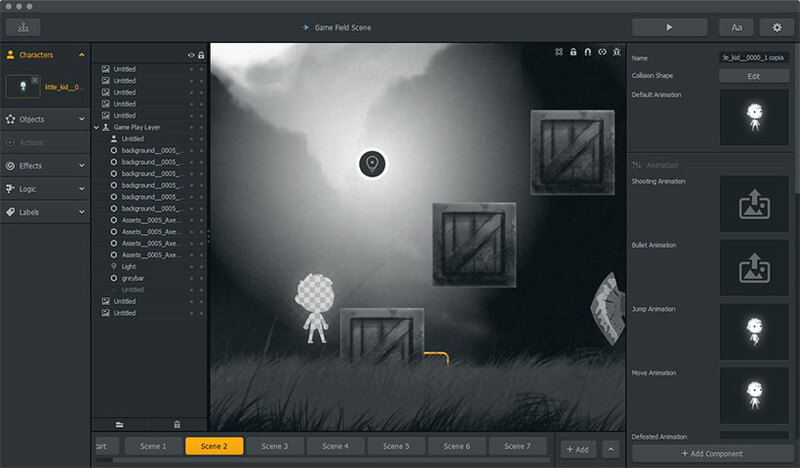 The game engine automatically adjusts button and interface positions as needed for different devices. 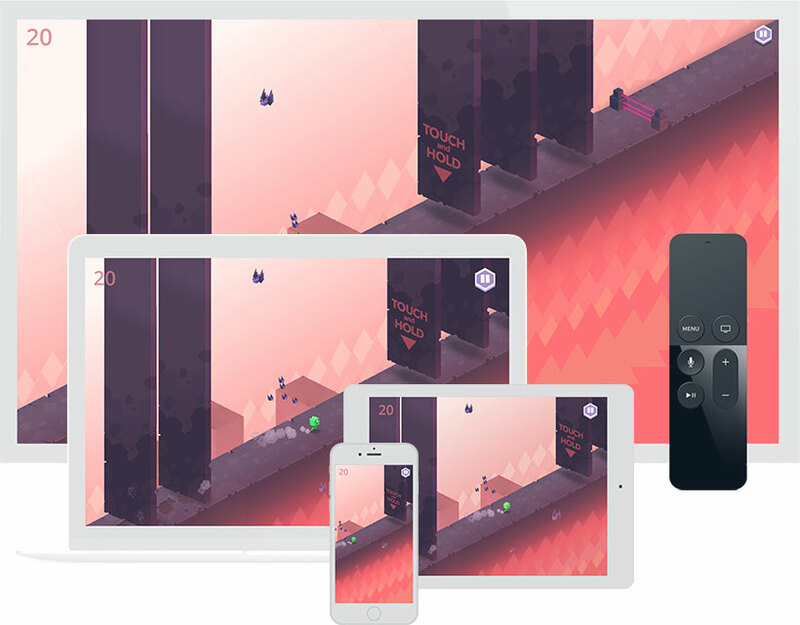 You can create a game one time and it will look great on both full screen and wide screen devices. 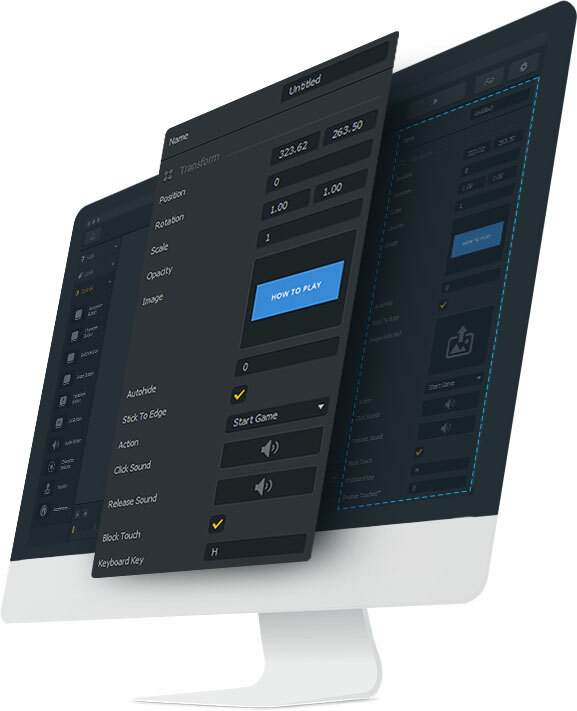 With our one click export option you don’t have to waste your time attempting to port your game. Instead you can focus on the one thing that matters: making something great. 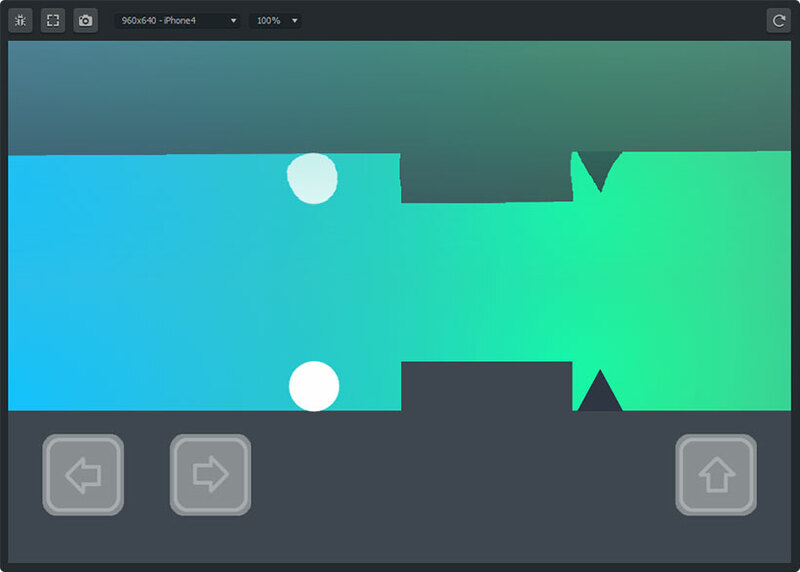 Once you create a game with Buildbox, exporting it is as easy as clicking a button. 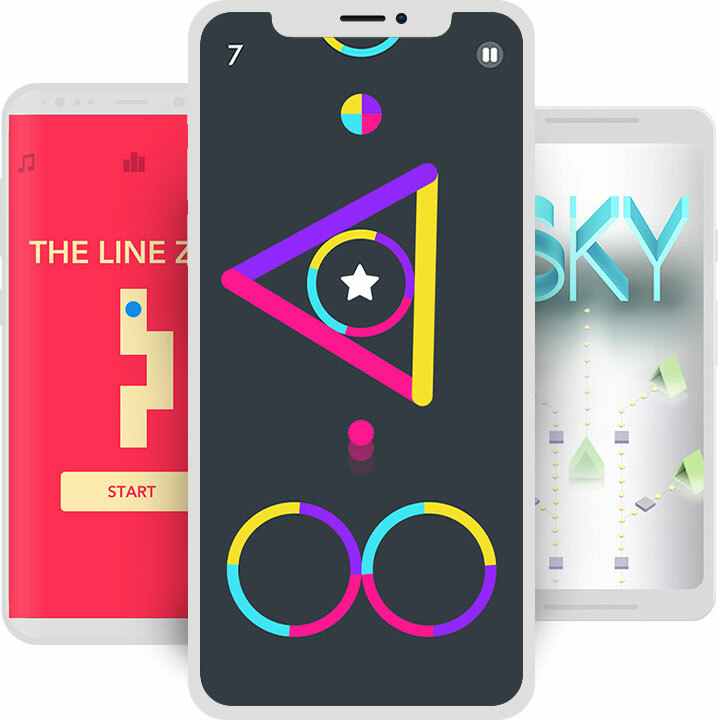 Create one game and put it on the Android Store, Samsung Store, Amazon Store (with support for the Amazon Fire HD, Fire Phone and Fire TV), iPhone Store, iPad Store, Steam, Mac App Store, Apple TV, Windows and more. Advanced components widely open Buildbox 2.0, letting you create new control styles, gameplay types, special attacks and abilities. These components add a lot of character functionality and are very easy to use. Along with damage, health and character icon, you have the option of advanced move and ghost jump. The advanced move allows you to make a Crossy Roads style game that controls the character via swipe or a game like Ketchapp’s Don’t Touch the Spikes where the character changes direction when he collides with an object. You can also use the advanced move component to make a zig zag style game or 2.5 D adventure game where the character moves around via joystick. 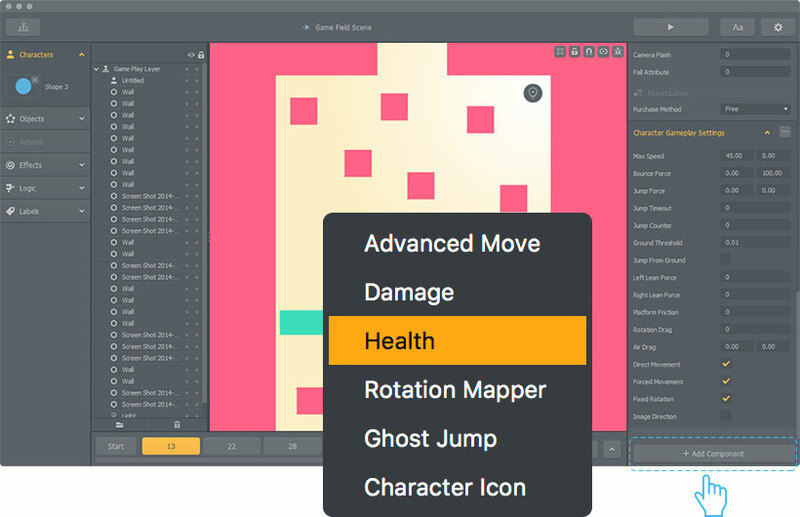 Ghost Jump is an advanced jumping feature that you can use in isometric jumping games. We used this feature in our game, The Pit. Use the font builder within Buildbox to create custom fonts to use in your game. Create in-game labels, text for when you pick up coins, display your total coin amount or score. You now have the option to use multiple fonts throughout your entire game. All of the fonts available are all fonts already installed on your computer, choose any new fonts and just install them as you normally would on your computer and they will also appear in the font editor. Change the color, adjust the size, add shadows, and customize gradient and much more. 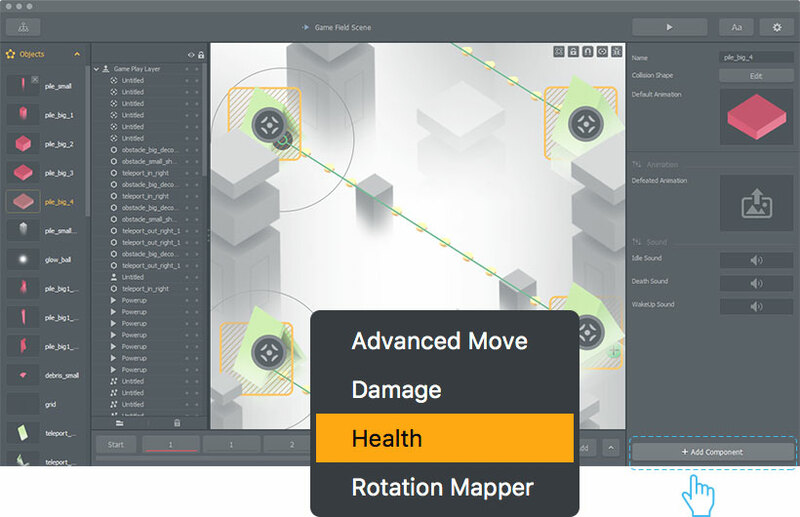 Take control of your controls in Buildbox with our easy to use key and controller mapping features. You add joystick support to give your app a classic arcade feel. Quickly integrate multiple action buttons to enable shooting or melee attacks. 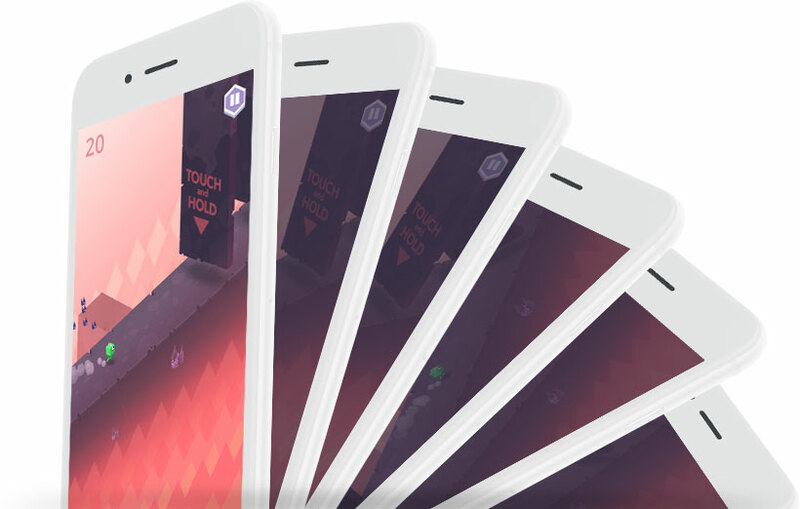 Create a game that uses swipe controls or one with a sliding feature where players can simply tap and hold to slide. With our mapping options you can make your player’s gaming experience exciting and fun. With Buildbox you have the ability to create in-game labels. These labels can be hidden and button activated or like Minecraft it can be permanently displayed within your game’s world. Enhance your gameplay and overall player’s experience in multiple ways. Use labels to guide players through a complex level, provide a hint or two, or as a tutorial to show users how to play the game or in entertaining cut scenes. 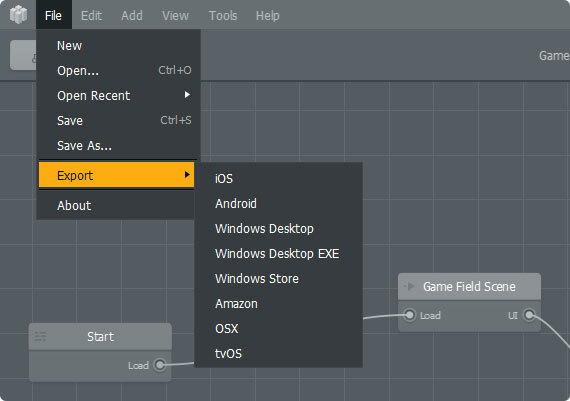 To make it easier to get started creating your first game we have auto-orientation. This feature chooses your game’s layout for you so you can skip ahead to the fun stuff – building out levels. Based on your chosen gameplay preset, auto-orientation will automatically select the best orientation for your game. However, if you don’t need the guidance you can change your layout however you wish. 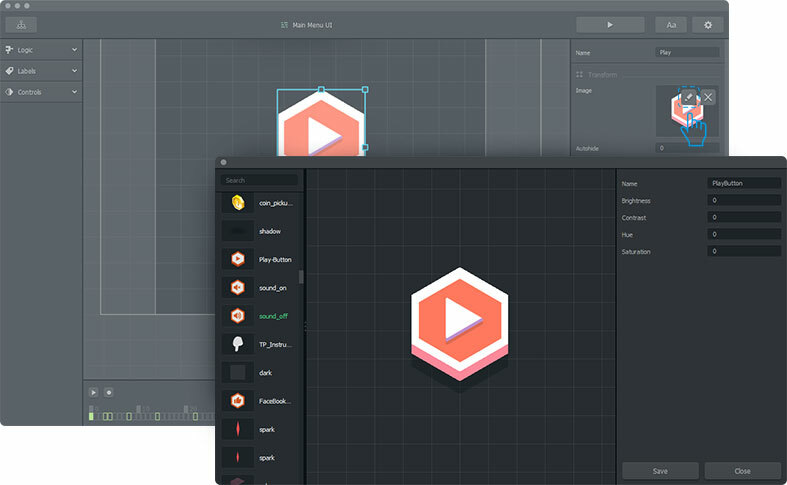 With your purchase of Buildbox 2, you get all of the developer tools you need to make amazing games. 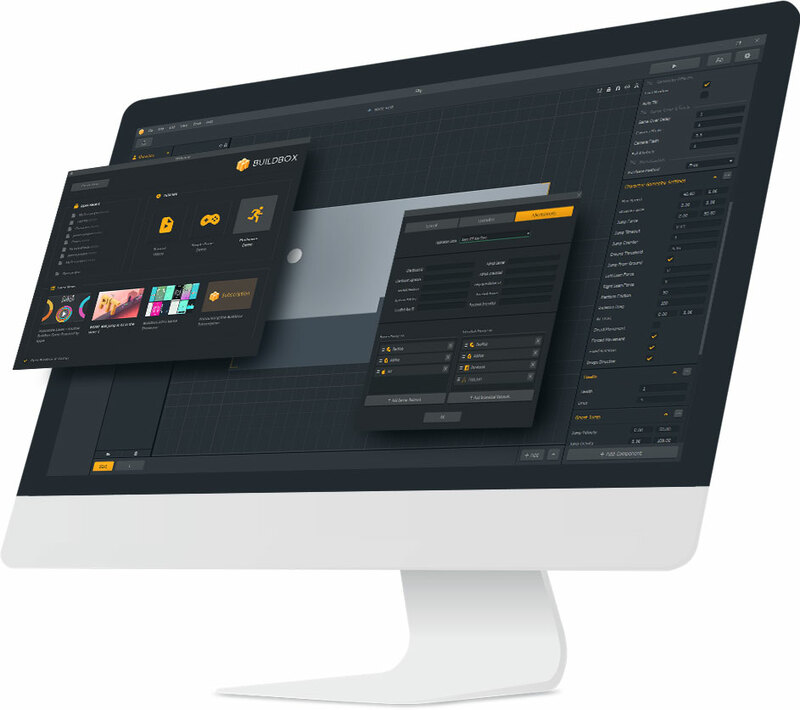 Our easy to use drag and drop software allows anyone to jump right in and start creating without prior coding or technical skills. 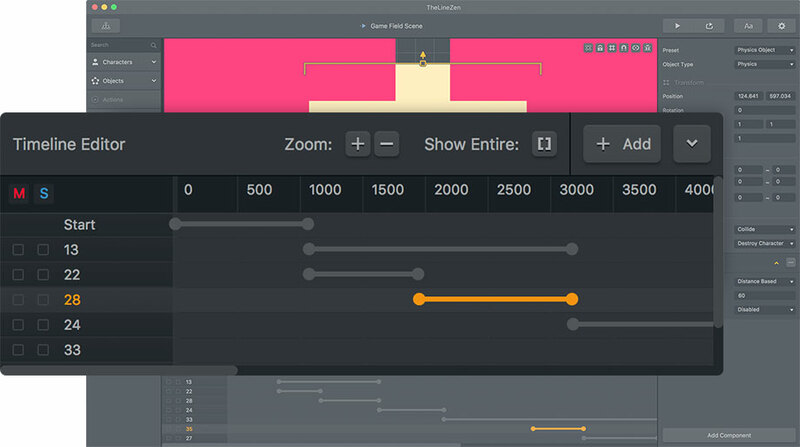 There’s no limit to what you can do with this powerful game builder. Animate menus or create complete cut scenes. 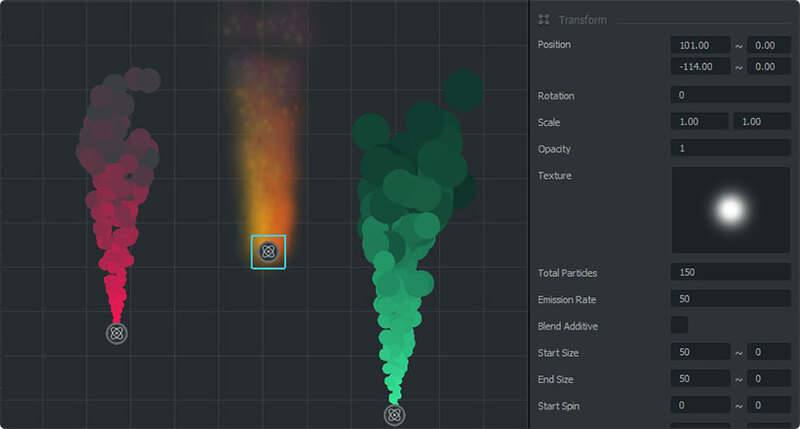 Use the advanced particle creator to make really cool special effects from scratch. 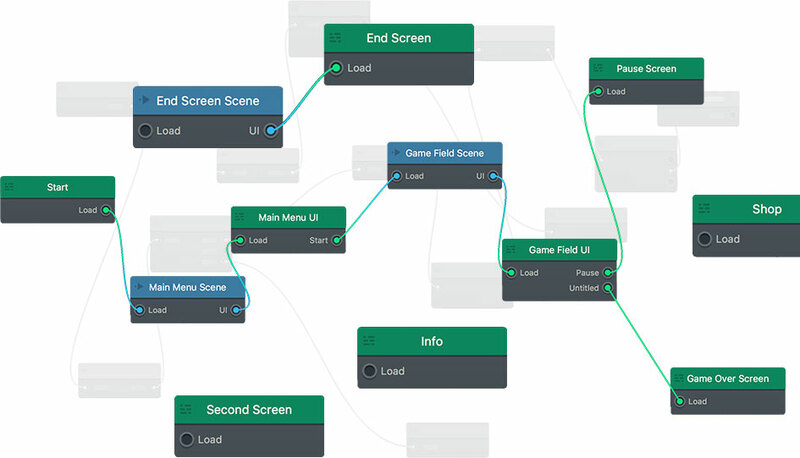 You also have full control of the game flow with our simple to use menu node based system. There’s joystick and Apple TV support, a layer browser, one click export options and much more.